This pot holder is made locally by Kaleidoscope Designs! 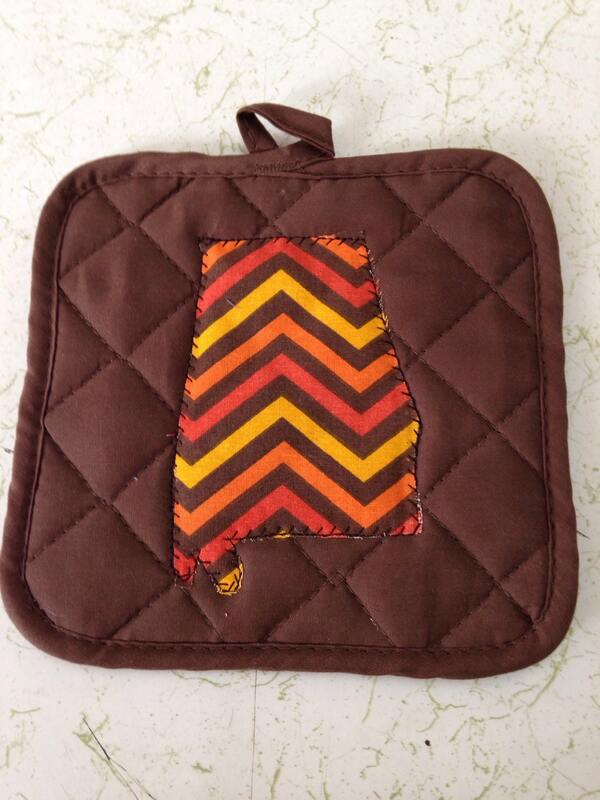 She stitches our great state onto pot holders so you can cook with the heart of dixie! 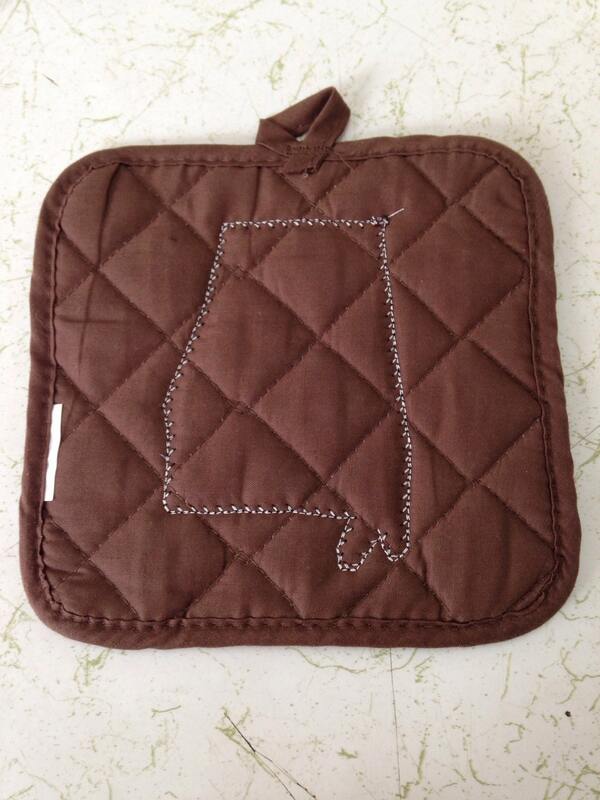 The pot holder measures 7x7 inches and the state is 4.5 inches long and 3 inches wide.